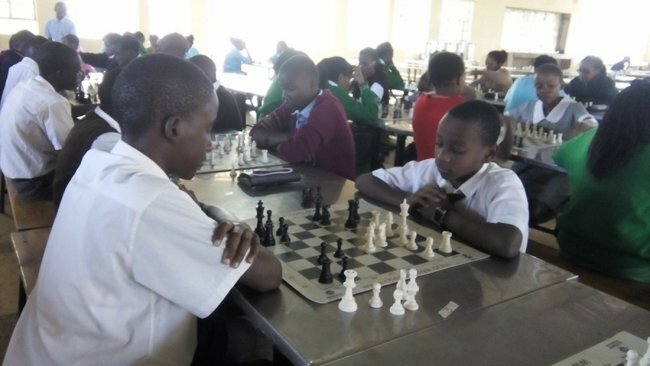 Chess Kenya (CK) has been compelled by the Sports Disputes Tribunal to include Jia Hiranandani in the national team to the 2015 African Youth Chess Championships slated for Zambia from December 5-13. Hiranandani, through her parents Sonia Aggarwal and Rajesh Hiranandani, had challenged results from the Kenya National Youth Chess Championships held at Makini School last month. In its ruling, the tribunal said it was within its jurisdiction to intervene in the matter. “We order that Chess Kenya do make all due and requisite arrangements to have Jia Hiranandani represent Kenya at the championships in the under-10 girls category,” the ruling read in part. Hiranandani competed in the under-10 category and official results released by CK showed the girl from Oshwal Academy won with a score of 4/4. However, submissions at the tribunal revealed that Vivian Muthoni from Elimu House Schools was awarded the win after a replay was ordered by the section arbiter. But, Hiranandani was later declared the winner following another replay ordered by the chief arbiter after she protested. Elimu School protested and an executive committee meeting of CK held on November 3 annulled the decision to have the second replay as well as its outcome. In her case, Hiranandani argued that the section arbiter flouted Article 12.6 (Laws of Chess) when he made interventions uncalled for contrary to provisions of Article 8.5 of the Laws of Chess and announced Muthoni the winner on time factor. She further argued that FIDE competition rules did not provide for use of clocks for the under-10 category, though the use of the same was applied but erroneously time set was 20 minutes instead of the stipulated 30 minutes. Respondents who included CK Chairman Githinji Hinga, Secretary General Joseph Atwoli and Muthoni’s coach James Mwangi submitted that the decision by the chief arbiter to order a re-match was erroneous, illegal, unilateral and unprecedented. They further argued that results of the first re-match won by Muthoni were final while controversy about time as raised by the appellant was not an issue of contention. But, the tribunal found out that the match between Muthoni and Hiranandani at first instance ended in a controversy over time set and the declaration by sector arbiter on interpretation of rules for considering the winner. They also overruled intervention of the executive committee saying it was not properly convened or constitutional. The decision of the sector arbiter was found to be unjustifiable and unfair for unilaterally adjusting the time for the competition.